Made in the practice of traditional saponification, our liquid hand wash is gentle to your skin and kind to the environment. 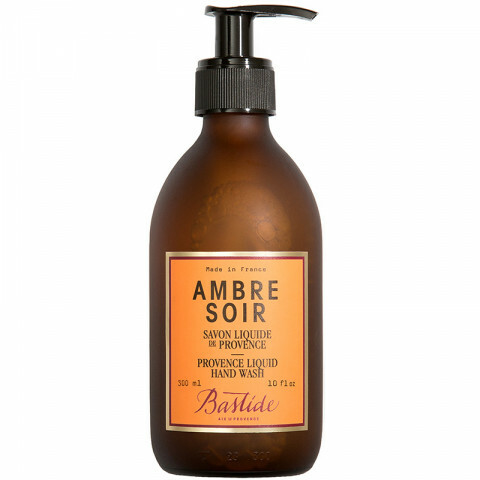 Using a base of coco oil and Provence olive oil (and 0% SLS), this beautiful liquid soap glides on through your hands gently, rinses clean, and leaves behind no harm, only a gentle amber fragrance. Delicately scented with the dreamy & complex Ambre Soir fragrance, reminiscent of sunset moments that leave hearts skipping. Pump. Massage. Breathe in the aromas. Rinse. (And you might be tempted to repeat). Aqua/Water, Potassium Cocoate, Glycerin, Parfum/Fragrance, Polysorbate 80, Potassium Olivate, Cocos Nucifera (Coconut) Oil, Olea Europaea (Olive) Fruit Oil, Hydroxyethylcellulose, Polyglyceryl-3 Caprylate, Benzyl Alcohol, Tetrasodium Glutamate Diacetate, Coumarin, Butylphenyl Methylpropional.